Stamps are margin copies with accounting tabs. 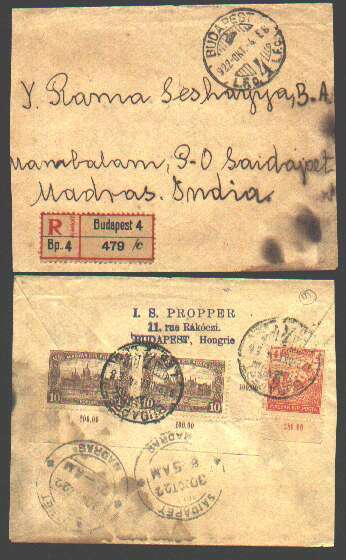 Cancelled Budapest with arrival marks in Madras on October 30. The cover is probably philatelic in origin.